There are few things more pleasurable than biting into a Godiva truffle. Crack the smooth chocolate casing before sinking into the sumptuous softness of the creamy truffle centre. 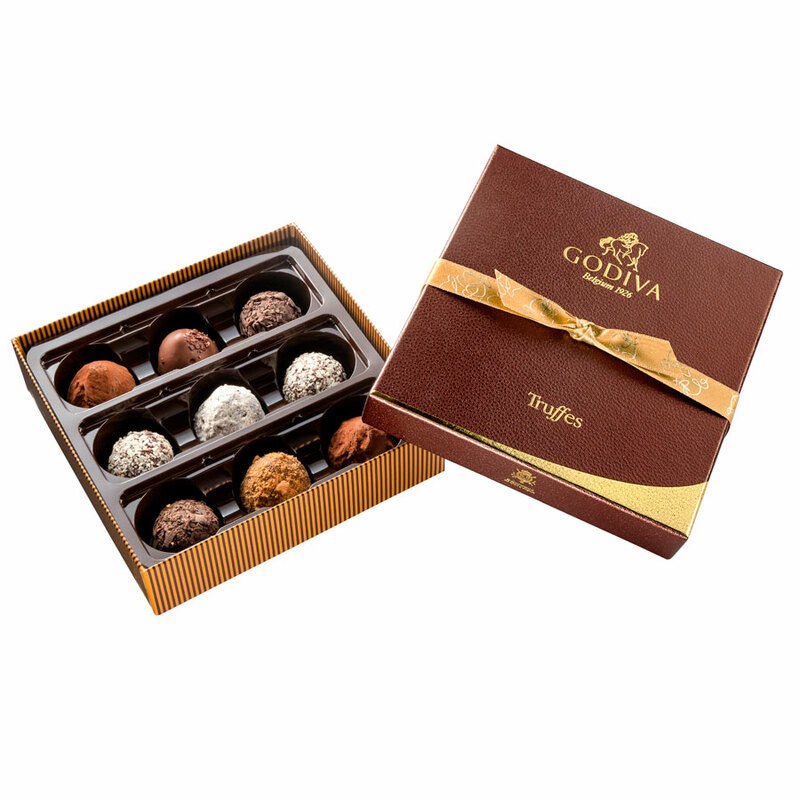 The 9 pc Godiva Signature Truffle Assortment features the perfect selection of flavours for truffle aficionados, and the smart leather-look box makes it the ideal treat for the chocolate lover in your life.